Since its foundation in 1348, music has played a core role in the daily life of St George’s Chapel. 600 Years of Royal Music celebrates the history of the Chapel’s choir, organists and organs. Over centuries they have contributed to the development of the English choral tradition, provided inspiration in divine service and added to the splendour of many Royal occasions, including Royal weddings and Garter services. This exhibition of items from the Archives and Chapter Library will be displayed in the south quire aisle from 27 March 2018 to 31 March 2019. 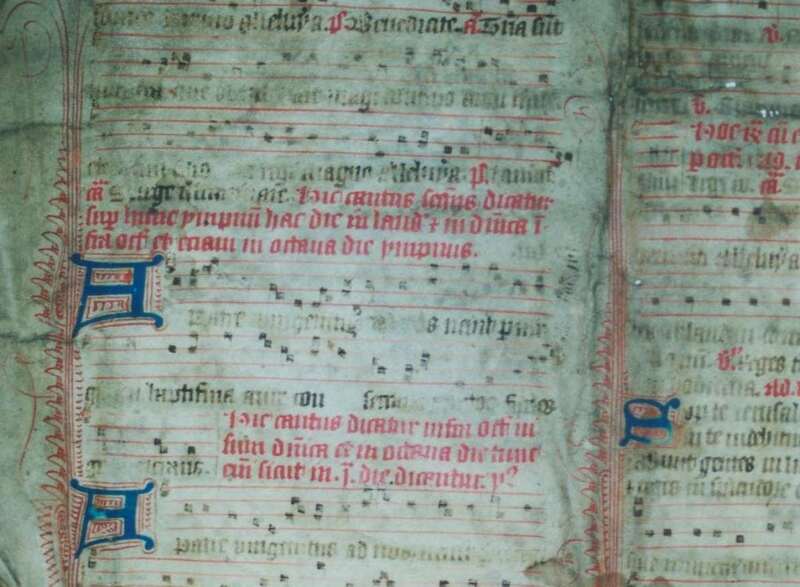 It includes 14th century manuscript music, an edition of the first musical setting of the Book of Common Prayer and the 19th century household accounts of the choristers’ lodgings. SGC LIB MS.9 Fragment of a 14th century antiphoner discovered in the binding of a Treasurer’s account but previously part of a medieval service book used in St George’s Chapel.